Sources confirm the Mariners' deal they have often said they were going to make with the iconic outfielder. He will go with the team on its trip to Japan. Ichiro is returning to the Mariners as a player for 2019 spring training and the team’s trip to Japan. This shouldn’t come as a surprise for Seattle fans despite an offseason plan that has pushed for the team to get younger. 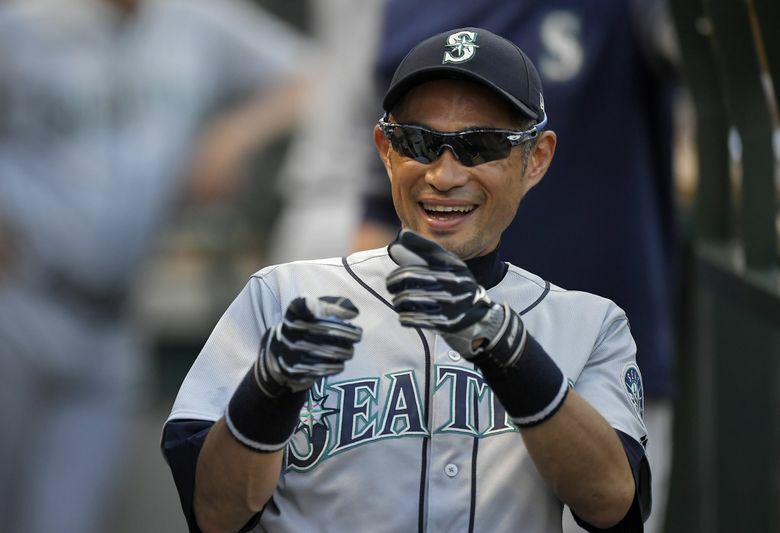 General manager Jerry Dipoto said it was likely to happen when Ichiro transitioned to a front-office role of “special assistant to the chairman” in June of last season. He said it again in his season-ending news conference at what used to be called Safeco Field. He reaffirmed it two more times this offseason at the Major League Baseball winter meetings and at the news conference for the signing of Yusei Kikuchi. On Wednesday morning, multiple outlets reported the team and Ichiro’s representation had reached an agreement on what they had already basically agreed upon when he was removed from the 40-man roster at the end of last May. The remaining details just needed to be finalized. Ichiro, 45, will sign a minor-league contract with an invite to spring training, which the team will officially announce Thursday at its pre-spring training luncheon along with the signing of a handful of other players to minor-league contracts with invites to spring training. While some fans will roll their eyes at the Mariners’ perceived obsession with their own nostalgia, this was a move they were always going to make if Ichiro wanted to do it. And he spent the remaining months of last season and all of this offseason preparing for a return as a player. He remained in Seattle after the season, working out at the park almost daily in October and early November. It’s what will happen after the Japan trip that will be interesting for Ichiro and the Mariners. He will report and participate in spring training like any other player. The plan is to take Ichiro to Japan with the team March 14. Seattle will play two exhibition games against the Yomiuri Giants on March 17-18 and then two regular-season games against the Oakland A’s on March 20-21. As the most celebrated player to come out of Japan, it will be a highly anticipated homecoming for Ichiro. He is expected to participate in the two exhibition games. If the Mariners want him eligible to play against the A’s, they will have to select his minor-league contract and add him to the 40-man roster and the active 25-man roster to make him eligible. As Dipoto mentioned previously, there is the caveat that both teams will have an expanded 28-man roster for those two games, which makes it much easier to put Ichiro on the team. But what will happen to Ichiro after those two games when the Mariners return to the U.S. is less settled. The Mariners will have two exhibition games at T-Mobile Park (March 25-26) before their home opener against the defending World Series champion Red Sox on March 28. Seattle will have to winnow its roster back down to 25 players. Will Ichiro remain or be removed? As of now, the Mariners’ projected starting outfield would be Mallex Smith in center field, Mitch Haniger in right field and Domingo Santana and Jay Bruce sharing the duties in left field. Unless they decided to use Bruce at first base more extensively or Santana as a full-time designated hitter, it’s difficult to see them carrying Ichiro as a fifth outfielder. But with the team in an admitted “step back,” it’s possible they could find a way to carry him on the roster beyond those first two games. A lock for the Hall of Fame, Ichiro isn’t ready to start moving toward that honor. He’s maintained he has no interest in retiring immediately from baseball. He believes he can still play and contribute. But it’s possible that the Mariners have some sort of exit plan agreed upon with him similar to last year’s transition to a front-office role that allowed him to still work out with the team and travel on all road trips. Ichiro played in 15 games last season, hitting .205 with a .460 on-base plus slugging percentage.